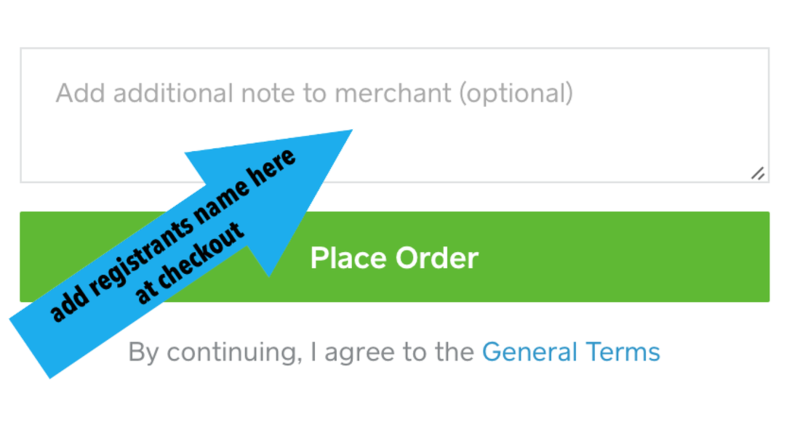 Please make sure when making your payment on the next page that you include the NAME OF THE PERSON WHO REGISTERED. If the NAME OF THE PERSON WHO REGISTERED is different than the credit card name, please add a NOTE to your payment with the name associated with the registration. Thanks.